Credits above are only for personnel unique to this episode. 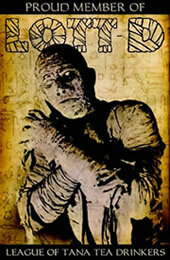 For credits relating to "Masters of Horror" as a whole, see the Masters of Horror review gateway. Stories of ghostly revenge are familiar to most horror fans. Spirits of the dead, wronged in some way, return to seek vengeance upon the living, often violently. Dream Cruise, part of the "Masters of Horror" series and directed by Norio Tsuruta, is definitely part of this tradition. We witness a tale that has ghostly apparitions, tragic pasts, and a healthy dose of revenge. While the film is not a masterpiece of screen horror, it is an enjoyable and spooky ghost story. Jack Miller (Daniel Gillies), an American lawyer in Tokyo, is secretly in love with the wife of an important client, Eiji Saito (Ryo Ishibashi). Yuri Saito (Yoshino Kimura), unhappy with her life as a trophy wife, hopes to begin a new life with Jack. Eiji, however, has other plans. Inviting both Jack and Yuri for pleasure cruise on his personal yacht, Eiji secretly plans to “dispose” of them at sea. The tables are turned, however, when the spirit of his first wife, murdered my Eiji years earlier, returns to seek vengeance on all of them. The early part of the story centers around Eiji’s planned revenge upon Yuri and her lover. Eiji’s accusatory tone and his insistence that they keep going out, even when they should be returning, makes it clear that he knows about the affair, and the tension builds as they head further out to sea. It is obvious Eiji has something sinister planned for the couple, as both Yuri and Jack, and the audience, wait for him to make his move. It appears that we are in for a chilling, if not terribly original, descent into Grand Guignol. However, when the yacht suddenly stops working and Eiji is thought to have been killed while working on it, the story takes a dramatic turn towards ghost story. Quite abruptly, the film changes from a realistic dramatic tale into a supernatural haunting. This change is both positive and negative. Positively, it switches focus from the revenge of a living man to the revenge of a ghost, allowing us to note their similarities and differences. Both Eiji and his dead wife, Naomi (Miho Ninagawa), were betrayed by their lovers, and neither one takes it very well. However, Eiji is a despicable man who killed his first wife when she became useless to him, and plans to kill his current wife and her lover out of jealousy. Alternately, the ghost of Naomi is seeking revenge for being murdered. The film suggests that Naomi’s vengeance is at least understandable, if not completely justified, while Eiji’s is hateful, based only on jealous and wounded pride. While the film doesn’t condone the actions of either party (both Eiji and Naomi’s ghost do violence to innocent people), the spirit of Naomi seems righteous in her revenge, where Eiji certainly is not. It is an appealing and grisly comparison, and definitely enhances the film. However, despite the obvious up-sides, the sudden change of story abruptly ends a fairly compelling tale of betrayal and revenge, replacing it with a less-interesting ghost story. Once Eiji is gruesomely murdered by Naomi's spirit, the story focuses entirely on Jack and Yuri’s fight for survival against the ghost of someone that they have never met. Any further exploration of Jack and Yuri’s relationship and betrayal of Eiji is dropped. It also forsakes any more details of Eiji and Jack's past dealings. Early on, the film intimates they were once good friends, but it is never again mentioned once the haunting begins. The effect is divisive and, while the story of Naomi's wrath is good, it is not as well-written as the first half of the film. The majority of this film is set, appropriately enough, aboard Eiji’s yacht. Most of the time, we see only the three main characters, which creates a wonderful sense of isolation. The fearful Jack and Yuri can see nothing but water on all sides, reinforcing the fact that they are trapped. Eiji has something sinister in mind for them, but the ocean is blocking every route of escape. During the early part of the voyage, Tsuruta uses this claustrophobic environment to carefully establish a sense of dread; the setting of the film an eerie complement to this story of revenge. Norio Tsuruta’s direction is solid. He handles the cramped quarters of the yacht very well, and, as the film moves on, he effectively compliments and builds on the inherently claustrophobic setting. Particularly skillful is his use of close-ups during a confrontation between Eiji and Yuri on the yacht. A conventionally filmed dinner sequence is abruptly interrupted by these stark close-ups. The effect is unnerving. Later in the film, Yuri is locked in the bathroom, which begins to fill up with water. Tsuruta moves between scenes of Yuri being gradually immersed in water to Jack’s attempts at rescue, the tension slowly building as Yuri desperately tries to escape. Once the room has been filled with water, Yuri stares straight ahead as the scene cuts to a flashback of Naomi’s murder. As Yuri watches Naomi's final moments, Tsuruta shows her physically mimicking Naomi's movements in the flashback, obviously experiencing the pain as though it were her being murdered. It is an effective technique, easily the best sequence in the film. Less effective are Tsuruta’s presentations of the supernatural. Midway through the film, Eiji’s arm falls off his body shortly before he is killed. Once disembodied, it attacks Jack by first grabbing his ankle, then later trying to strangle him. Unfortunately, it's not very frightening; it's silly in a Re-Animator fashion. However, since the tone of the film is very serious and somber, not wild and over the top, the gag just doesn't work. An intrusion of an uncontrollable arm elicits chuckles, not shrieks, and it weakens the film. The problem with Dream Cruise's supernatural elements extends also to Naomi's ghost, the key focal point in the latter half of the film. She is seen too much and too clearly. Very often she is shown full on, with arms outreached and a sadistic leer on her face. The clarity of her appearances lessens her impact. She looks more like someone in a Halloween costume than a spirit from beyond the grave. Although it must be said that her first appearance, when she briefly possesses Yuri’s body, is quite striking, overall, Naomi’s ghost is not a very frightening sight. The cast in this film is very solid. The best performance is that of Ryo Ishibashi as Eiji. Ishibashi effectively portrays a powerful man who is seething with rage but trying to control himself so he can successfully execute his vengeance. In the scenes when he is harassing Jack while ostensibly having a “polite” conversation with him, Ishibashi does a fantastic job of showing us how Eiji keeps almost losing control of himself, but then regaining it at the last moment. He also shows us that Eiji, with his menacing looks and scornful tone, is capable of just about anything, making him a frightening and threatening character. Unfortunately, this great performance is countered by Daniel Gillies as Jack. As the weakest cast member in the film, Gillies is extremely wooden throughout. He never seems worried or scared, despite the horrific events taking place around him. By the end of the film, Jack seems to be some kind of action hero, which given the rest of the film, is terribly misplaced. Gillies’ performance detracts from an otherwise accomplished cast. 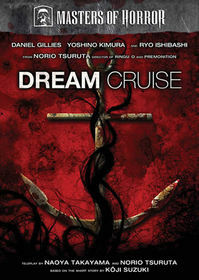 Overall, Dream Cruise is an above average film that could have been better. The direction is quite good and the cast more than competent, but the story is somewhat disappointing. It's not a bad film by any stretch of the imagination, but it could have been much more had it stuck with the original plot rather than switching gears halfway through.